Hello, I am Taisei Watanabe, M1 student in IMD-lab. 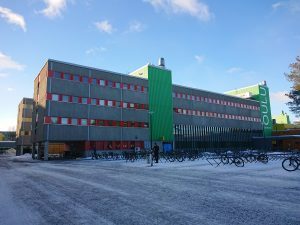 I had been to University of Oulu as an internship student for 1 month from 5th Feb. to 28th Feb. I also join the sprint-project team same as Ayaka. And, my work was estimation of human 3D-joints and calculation of sprint information (pitch and stride). Left picture is taken in Oulu Airport. When I arrived in oulu, actually I forgot to bring my coat. So, I felt super cold wind there. Otherwise, when I arrived in my room in an apartment, I was surprised that the room is so warmer even compare to my room in Nara. Warm water heating is super gread! 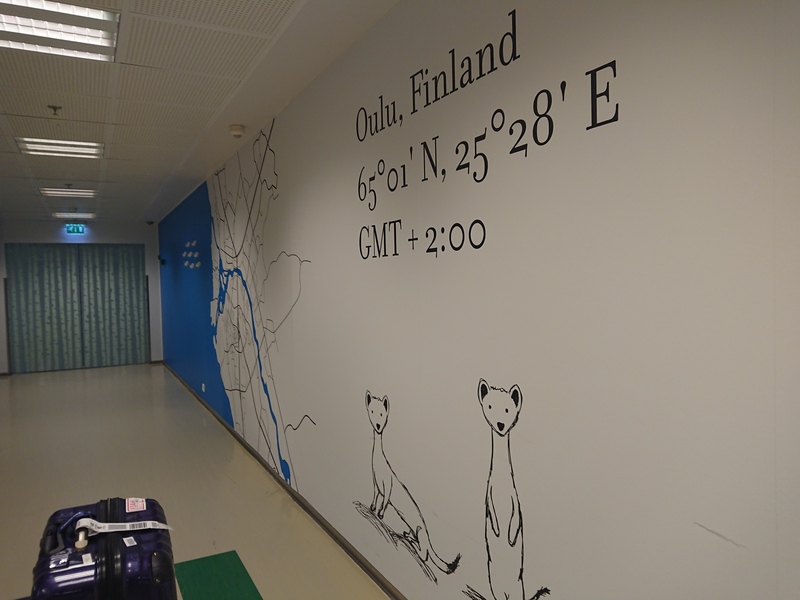 Right picture is outside view of university of oulu. I think the amount of snow is less than Jan. So, I was more lucky than Ayaka about the coldness. But there was another problem. If the temperature is higher than 0 degree, of course the snow melt. And then, If the temperature will be lower than 0 degree again, ICE will be made on roads. The ice was so dangerous, I heard from many people who got pain from the ice. So, if you want to go to Finland, please be careful about the ice! 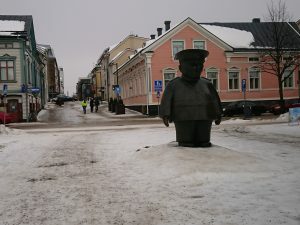 Other, there is a bronze statue of police in the center of oulu-city. Above picture is that one. This monument is quite well known in oulu-sity. But one problem is around the statue is surrounded ice. I don’t know the reason, people is not in around there when I came. Anyway, the days in oulu was so interesting. That’s why, there ware many great restaurant in the university, and there was many friendly people. So I could concentrate in my research activity. Thank you for all! This entry was posted in 未分類 on March 5, 2019 by imd-lab.